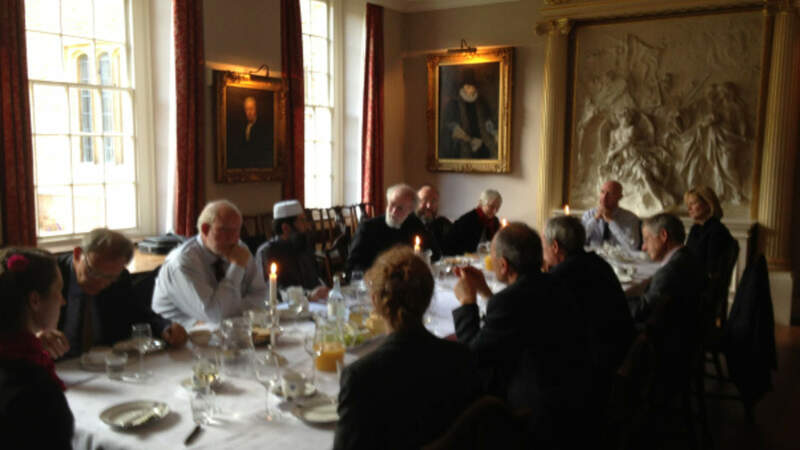 The Coexist Foundation facilitated and co-hosted a lunch today with Lord Williams, the former Archbishop of Canterbury, who is now the Master of Magdelene College Cambridge. Among the distinguished guests were a former British Home Secretary, several leading professors, a Baroness, one of the UK’s leading Muslims and the New Chief Rabbi of the UK and Ireland. The lunch was organized by Coexist on behalf of the Equality and Human Rights Commission to help raise the level of conversation around Religious Literacy to the very highest level in law, politics and culture. The Chief Executive of the EHRC, Professor Mark Hammond, said he was 120% pleased with the meeting and is already making plans for taking the group forward to start making a real impact in the way religion is handled in the public sphere.